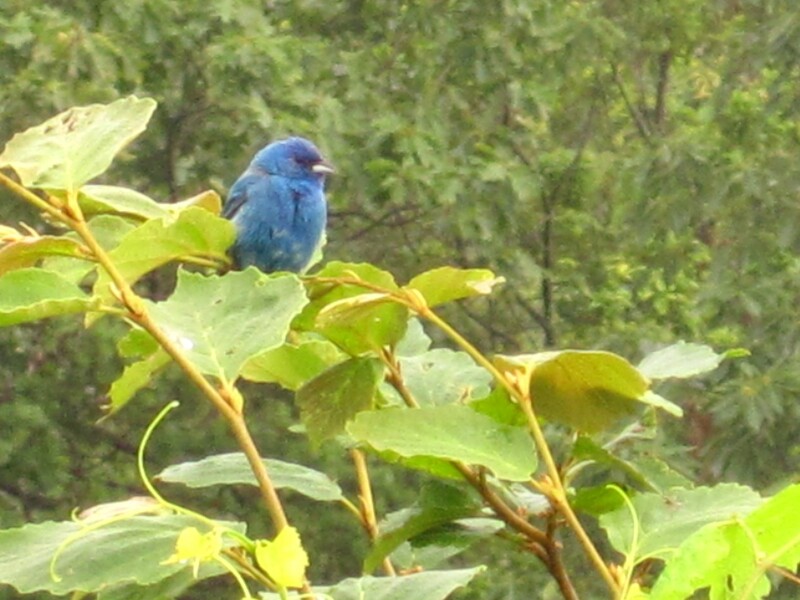 The first time I was ever intrigued by a bird while walking was when I saw this guy, an indigo bunting, at the end of a trail along Skyline Drive in Shenandoah National Park. We’d just finished a 10-mile hike that we’d thought would be 8, and while it was a good hike, those last two miles dragged. Whether it was the effect of having wearily slogged through the last two miles, sweatily and steadily uphill, or simply the bright blue color, the sight of this bird perked me up and captured my attention. This, after I’d always thought that bird watchers were a bit…. well, loony, if you’ll excuse the pun.